Dr. Dominic Sabatini is an internationally recognized leader in the dental field. He has placed and restored thousands of dental implants with the highest success rate and performs the surgical aspects of the Prettau Zirconia Implant Bridge. Dr. Sabatini received a Doctor of Dental Medicine Degree from the University of Pittsburgh. 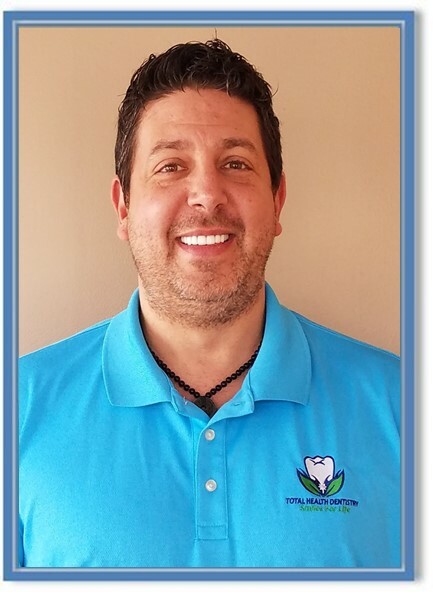 Dr. Sabatini is dedicated to providing the best dental experience for his patients in Pittsburgh, State College and Naples, FL. Beyond his reputation as being one of the area's leading implant and cosmetic dentists, he is also dedicated to patient comfort and treating his patients with state of the art procedures. With over 1000 hours of documented continuing education hours, Dr. Sabatini is committed to excellence for his patients. Surgical training has included educational hours at, The Misch International Implant Institute, The University of Pittsburgh School of Dentistry, Las Vegas Institute for Advanced Dental Studies, The Dominican Training Institute and The Prettau Zirconia Implant Bridge Course. Most importantly, Dr. Sabatini is the proud father of two amazing daughters, Malina and Vitabella. He is also, a speaker, author, consultant, digital marketing agency owner, coach and mentor, Dr. Sabatini works with business entities and individuals around the world, instilling within them not only the mental foundations of success and the motivation to achieve, but also the strategies that will empower them to grow, improve, and thrive in today’s ever-changing world. Shilo, Dr. Hartman's daughter, has worked in many different areas of the practice over the years. During high school and college she worked in the front office as the scheduling coordinator and also assisted the doctor with treatment chair side. She holds a B.S. degree in Human Resource Management from Messiah College. In October 2005, Shilo returned to the practice as the Administrative and Financial Coordinator. She enjoyed assisting our clients with financial arrangements so they could receive the treatment they need to optimize their dental health. She enjoyed managing all of the business, administrative and bookkeeping responsibilities of the practice. In 2016, Shilo bought into the practice and became Dr Hartman's business partner. Together, they decided to expand Total Health Dentistry to additional locations. Shilo is now enjoying the challenge of traveling between the 3 locations managing operations, hiring, providing training & coaching and helping with client services as needed. She manages all of the marketing and continues with administrative & bookkeeping responsibilities. Shilo is an avid equestrian and enjoys time riding & competing with her horses. She enjoys living on her farm in the McAlevey's Fort area with her husband, Buddie; sons, Ryker and Soren and daughter, Aria. Together they enjoy camping, riding horses, playing with their dogs, traveling, motorcycles, serving in childrens ministry at their church and spending time with family. 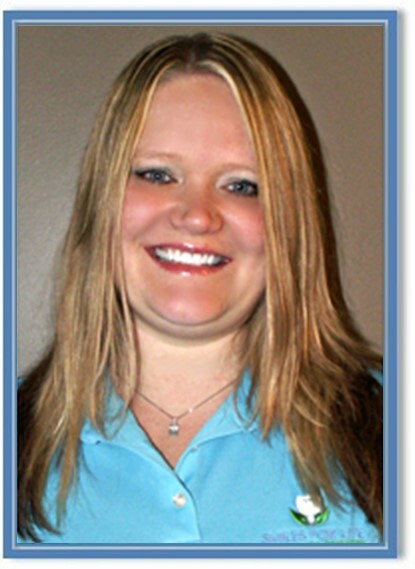 Darlene joined the Total Health Dentistry team in October of 2007 as the Scheduling Coordinator. In this role, she schedules appointments for patients, assists with questions about services, and works in other areas of client satisfaction. She enjoys that this position allows her the opportunity to inspire patients to achieve the level of dental and overall health that we all strive for. Darlene lives outside of Huntingdon with her husband Mark. Together they love spending time with their children and grandchildren. Cyndy joined the Total Health Dentistry Team in November 2013 with five years previous experience as a dental assistant. She started her career as a dental assistant after 18 years of homeschooling her two sons, Adam and Jason. She is eager to see patients experience total health and wellness through improved dental health. Cyndy and her husband Ray reside in Hartslog Valley. She enjoys gardening, scrapbooking and activities with the family dogs. 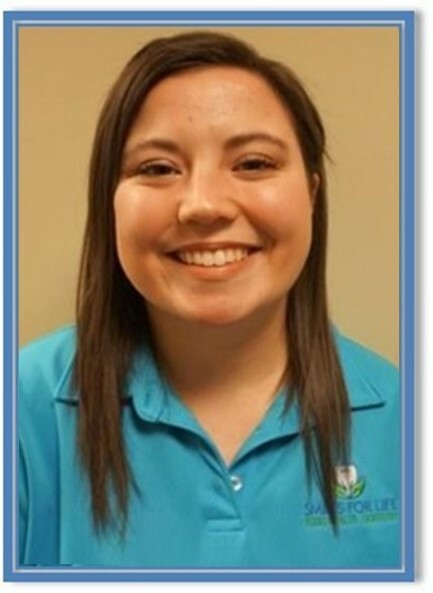 Amy Jo began working at Total Health Dentistry in August of 2014 and is a 2014 graduate from YTI Institute in dental assisting. Amy Jo resides in Huntingdon with her husband Mike and sons, Brady and Ryan. She loves spending time with her family including having campfires and cookouts. She also enjoys attending her husband and sons baseball games and being in the sun and in the water. Amy Jo cares about her rapport with clients and strives to make each one comfortable and relaxed while establishing an atmosphere of respect and openness. She enjoys helping others and making them smile. Amanda has been with our team since December 2016. Amanda originally graduated from Greater Altoona Career and Technology Center in 2012 as a dental assistant. She then decided to further her education and pursue a career in dental hygiene. She graduated from Allegany College of Maryland as a Registered Dental Hygienist in 2016. 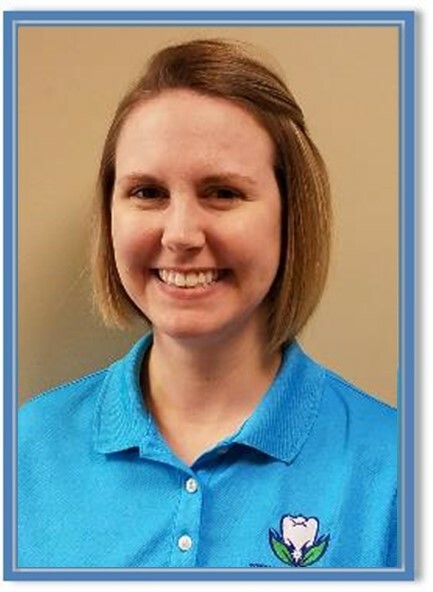 Amanda enjoys establishing rapport with her patients and providing them with the dental knowledge crucial to achieving optimal oral and body health. Amanda resides in her hometown of Altoona with her dog, Syndey. Her hobbies include reading, kayaking, traveling and cheering for the Pittsburgh Penguins. 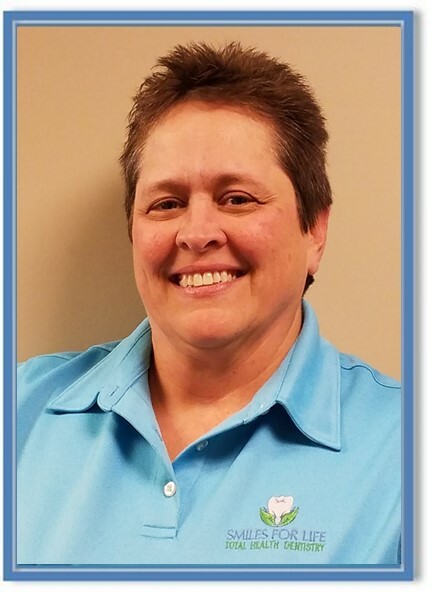 Deb joined our team in January of 2018. Deb has been working in the dental field since spring of 1986. She began her career in expanded dental functions in June of the same year. What is an Expanded Function Dental Assistant? 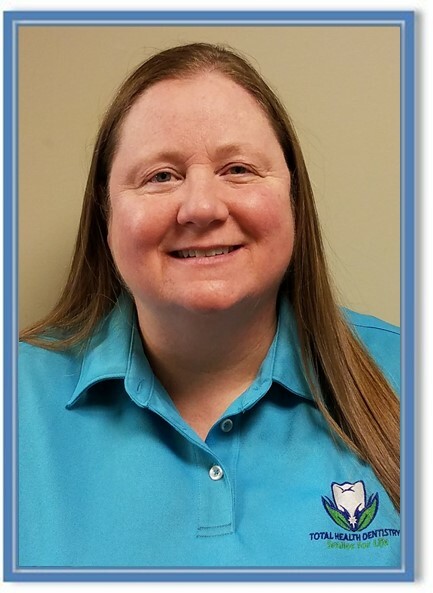 Deb is permitted by the State Dental Board to place and finish dental restorations, place rubber dams and matrices, make and place temporaries, and she also has experience in cad cam fabrication of dental restorations. Deb is also permitted to take dental x-rays. When Deb isn’t at work, she enjoys her time golfing and spending time with family and friends including her significant other and 2 sons. 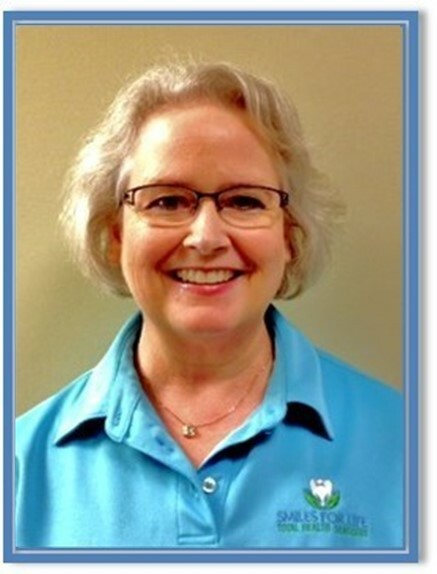 Deb enjoys meeting new patients and making them feel comfortable about having dental treatments done. For our team, Deb schedules appointments for patients, assists with questions about services, and also helps coordinate the financial planning of treatments for our patients. Dawn joined the Total Health Dentistry Team in June 2017. She graduated with honors from the dental assistant program at York Technical Institute May 2017. She travels to all three of our office locations and has the advantage of working with all of our doctors. Dawn resides in Hollidaysburg with her fiancé, Matt and their beautifully blended family- Lyndsay, Kaden, Devon and Benjamin. She enjoys spending time with her family, gardening, refurbishing furniture, cooking and baking in her spare time. She values her relationships with her patients and strives to give them the very best care with an open and honest relationship. To be able to work in an environment with such a high quality of care for the patient where the patient is truly valued and cared for is something she feels very grateful for. 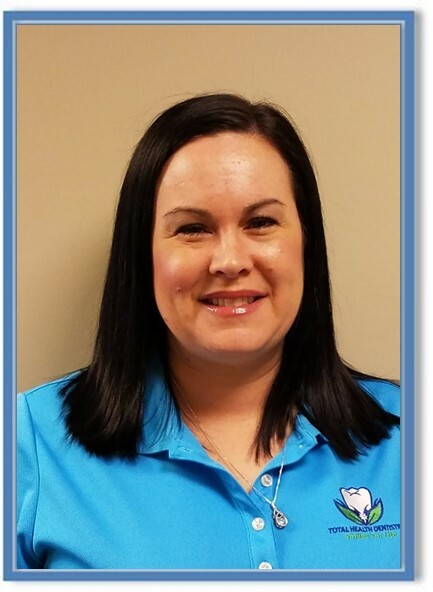 Halley joined Total Healthy Dentistry in March 2018 with eight years of clinical dental hygiene experience. She earned her degree in dental hygiene at Allegany College of Maryland and went on to obtain her local anesthesia license through Pennsylvania College of Technology. Halley enjoys helping patients obtain optimal oral health which in turn improves their overall health. 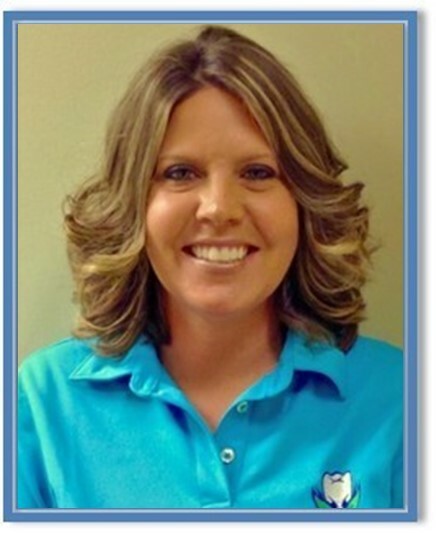 She provides gentle but thorough care and individualized oral hygiene instructions to each patient. Halley, her husband Dan, and their two children, Jackson and Hadley reside in Sinking Valley. They enjoy spending time outdoors, playing card games, and vacationing in the Outer Banks of North Carolina. Halley also loves to cheer on the Pittsburgh Penguins, Pirates and Steelers.